Each working procedure is equipped with independent QC in our factory,to ensure product quality.Skillful workers focus on every detail in bending, stamping,spraying,installing,packing process. Self control production cost,to ensure provide the most competitive price for you. We can offer OEM service,we can make the products according to your size,logo,design,colour. That would be better if you could send us quanlity and details for our reference. We have a strong on-line serviece team works on 24HOURS X 7DAYS,to ensure solve any trading problems with us on time. 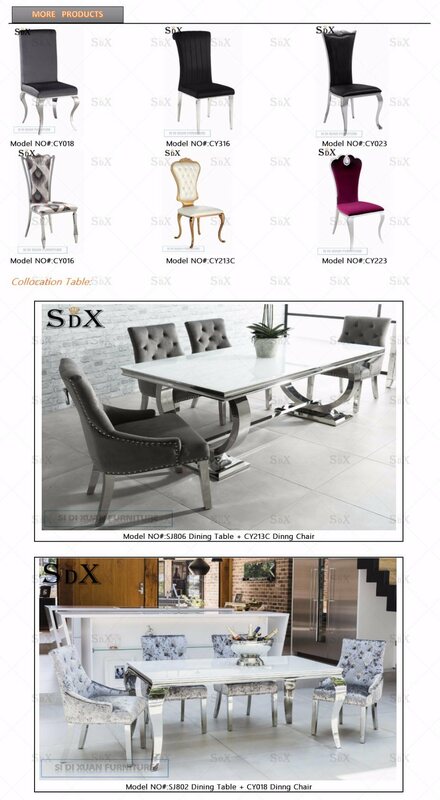 SIDIXUAN is the factory specializing in the production of chair furniture.We have more than 5 YEARS experience in productuon and export,we are professional that we can handle entire transaction process for you! Please let us know your schedule when you come to China.We will pick you up no matter at airport,hotel or subway station. A:Our factory is located in Jiujiang Town(next to Longjiang Town),Nanhai Foshan City,Guangdong Province,China. Q:How and how long does it take me to your factory? A:By taxi,it takes about 1 hours from Guangzhou Baiyun Airport to our factory. By bus,you can choose airport nostop bus to LONGJIANG LONGSHAN TERMINAL BUILDING,call us to pick you up there.It takes about 2 hours to our factory. By subway:Select JICHANG NAN STATION to KUIQI ROAD STATION,call us to pick you up there,it takes about 3 hours to our factory. Of course,you can tell me when you arrive at airport and we can pick you up to our factory if you need. Q:Can I ask for a sample? A:Of course yes!We can provide free samples within two samples,we will charge sample fee from the third sample,and the freight should be collected by your side. Then freight and sample fee might be pay back according to your actully order. Q:What is your most advantage products? A:Our products are all made of stainless steel,so stainless steel are our advantage products.From cutting,bending,welding,trepanning,installing,packing,we have independent department for each process,to ensure product quality,reduce the rejection rate,and alse reduce the cost. Q:Can you offer me warranty of your chair? A:5 years limied warranty on chair frame under normal using. Q:Are the chairs water proof and fire proof?What is the standard? 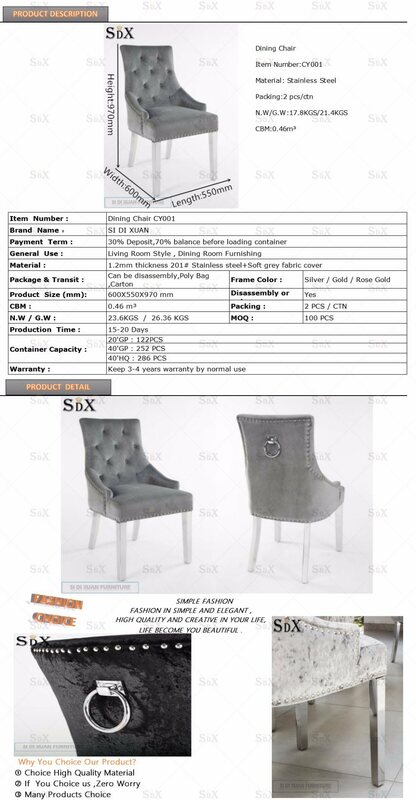 A:Water proof,it depend on what fabric used on chair,most of our usual fabric is water proof. A:Our MOQ is 20 pcs for 1 model , you can order sample order for 20'ft container. Q:What is the shipping cost? A:If you want to know the shipping freight ,the shipping cost is determined by destination port,weight ,packing size,total CBM of the goods.it's difficult for us to quote Â you the correct shipping fee without knowiing your total quantity of the order and your destination sea port.we will quote you the good shipping cost after receive your feedback. A:We are able to send the goods by air / Express delivery / Sea. the transportation way is depened on customers. A:The price is negotiable.It can be changed according to your quantity or package.